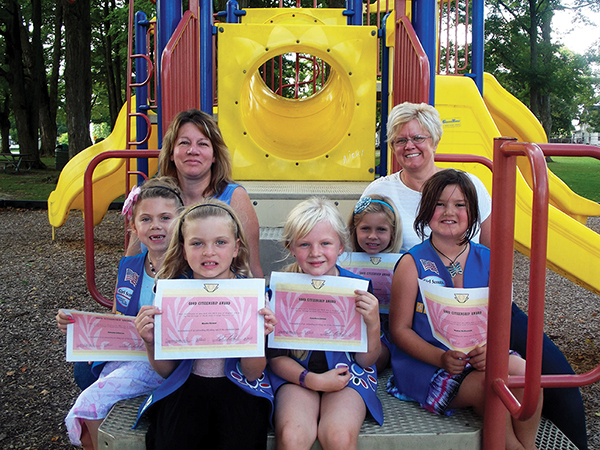 Girls from the Girl Scout Troop 4282 were awarded Good Citizenship certificates by the Village of Sand Lake on August 30, for being good stewards of Salisbury Park. According to Judy Howard, Clerk of the Village of Sand Lake, the troop picked up trash that littered the park. Howard presented the certificates to the girls.